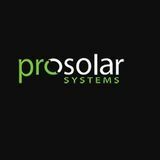 Ways to Save with Solar SOLAR ENERGY NOT ONLY GIVES YOU A CLEAN AND QUIET POWER SOURCE; IT CAN ACTUALLY GIVE YOU AN ENERGY CREDIT EACH MONTH INSTEAD OF A BILL, PROVIDE A HEFTY FEDERAL TAX CREDIT, AND INCREASE YOUR HOME VALUE. • Net metering: Florida’s net metering program allows Florida residents to sell back to the grid any extra, unused electricity that their solar array produces. An application process and a special meter are all you need to potentially receive credits each month toward your energy bills, or deductions on each month’s bill. 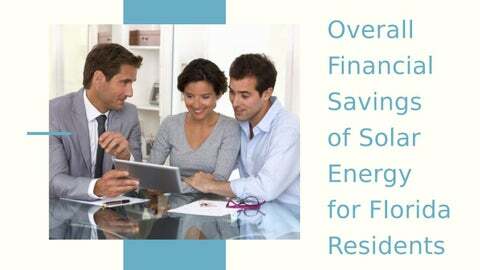 • The 30% federal tax credit: Take note that 2019 is the LAST year to take advantage of this federal incentive to switch to solar. This rebate will take 30% of the cost of your solar array’s installation off your federal taxes. • Increase home value: A solar energy system can boost the value of your home an estimated $15,000, and the system will pay for itself in a matter of years after the aforementioned savings are considered. Solar energy truly boasts an impressive return on investment. Consider all the ways solar energy can help you save â&#x20AC;&#x201D; wondering why you still havenâ&#x20AC;&#x2122;t switched to solar? Reach out today and we can get you started on a path to installing the cleanest, most cost-efficient form of energy out there!